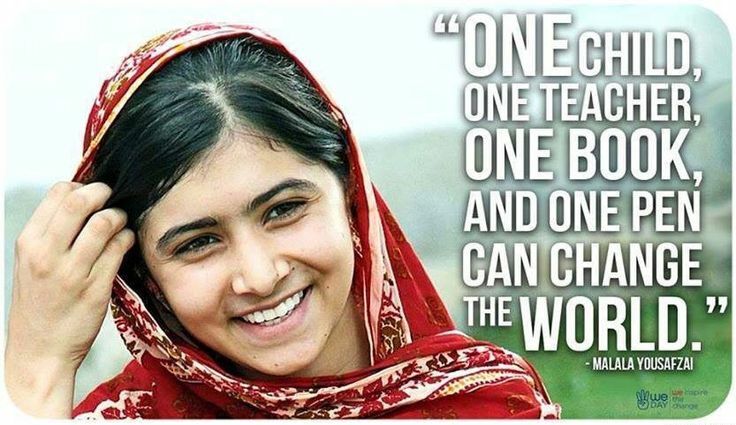 This past week, on October 10, a young woman I admire, Malala Yousafzai, was awarded the 2014 Nobel Peace Prize. When she got the call that she won, she did not celebrate immediately. Instead, she returned to her chemistry class at her high school in Birmingham, England. A fitting reaction by someone who had risked her life for the right to be educated. To advance the right of all children to an education, especially girls, Malala, along with her father Ziauddin Yousafzai, founded the Malala Fund. They selected my friend Shiza Shahid, a 25-years-old Pakistani social entrepreneur, to run it. Through the Malala Fund, these two young women have been on the march around the globe, spreading passionate awareness about the social and economic impact of girls' education and empowering girls to raise their voices, unlock their potential, and demand changes. 5 years ago, when she was a sophomore at Stanford, Shiza saw a documentary featuring Malala as an 11-year-old, speaking out about the Taliban closing girls' schools in her town. 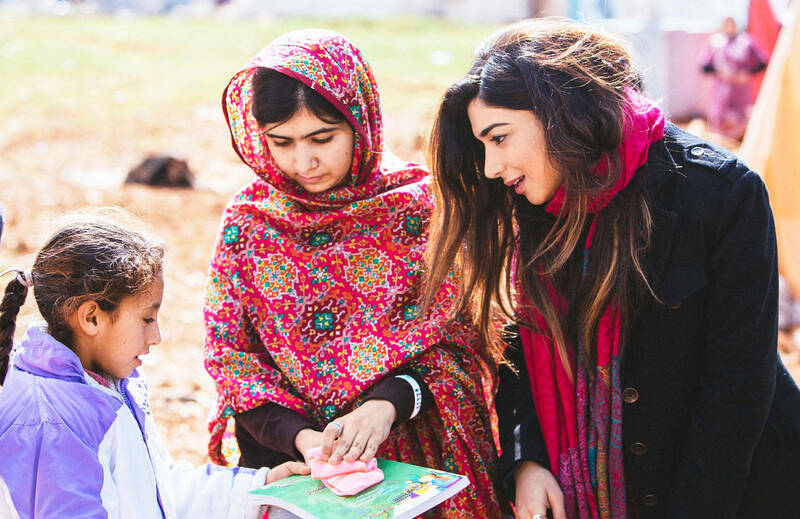 This drove her to start a summer camp in Pakistan in 2009 – which Malala attended – to empower and advocate for young girls and their education. We need more Malalas and Shizas everywhere. For one thing, more Malalas and Shizas mean even more Malalas and Shizas; for as more young women are educated, they become drivers of improving education wherever they are, working to ensure that other young girls have access to education. We need that here in the U.S. just as we need such advocacy around the world. I'm proud to say: I strongly believe in Malala's and Shiza's bold mission. It is what Globaloria does. We've been empowering thousands of girls daily to become the leaders of tomorrow through providing engaging STEM and computing education. We started Globaloria because we believe that digital and computational fluency don't just add to girls' education; it increases girls' confidence and sharpen their abilities to invent, create, express themselves and run complex projects. In short, the digital literacy Globaloria teaches cultivates their minds to succeed in the knowledge innovation economy. The implications for the future are important. Three million STEM jobs remain unfilled in the U.S. right now due to lack of available talent, while a mere 2.4% of bachelor's degrees go to computer science majors, only a quarter of whom are women. 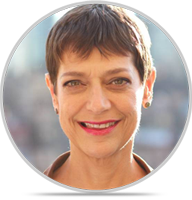 No wonder technology executives are continually on the hunt for female talent. Recruiting more women to STEM and computing has serious implications for national security, and considered a "national security prerogative," according to the National Geospatial-Intelligence Agency CEO. Malala and Shiza understand this issue well. Like my Globaloria team, they recognize this as an exciting growth opportunity for girls and women and global peace and security. Malala recently called all young women and girls in every country to learn coding by participating in the global "Hour of Code" (Coming up on December 8-16), "even" as Malala said, "if you don't have a computer." Globaloria has been making that same point – and advancing this very growth opportunity – for the past decade. We recognize that coding is an essential part of literacy; in fact, it is the new literacy, and it must be part of the female literacy for which Malala risked her life. Girls everywhere must and can master this computational digital literacy and STEM. In fact, the proof was at the White House last week, where two Globaloria students, Brittany Arbogast from rural West Virginia and Jennifer Caceres from Queens, New York, were selected to present their innovative creations – two "games for social impact" that they themselves conceived and coded – to policy makers, technology innovators, and the media. What's more, through the ESA LOFT Video Game Innovation Fellowship, a joint initiative of the Entertainment Software Association and the Hispanic Heritage Foundation. Brittany and Jennifer received grants to continue to develop their software games. Like Malala and Shiza, Brittany and Jennifer, who could not imagine themselves inventing, engineering and coding, just a year ago before they enrolled to Globaloria courses in their schools, are demonstrating that education is the way to seize the opportunity of their own future, as they advance education and career opportunities for young women around the world. 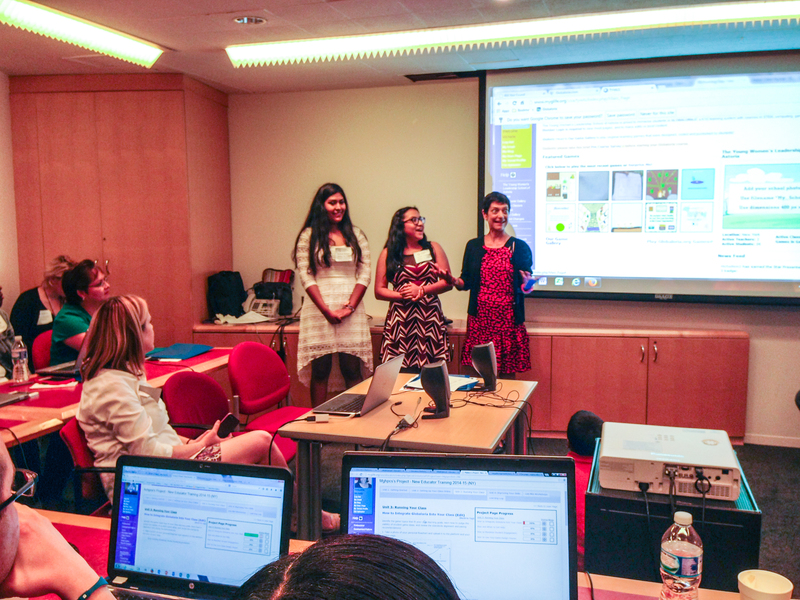 Michelle Morales and Jennifer Caceres, high school students at The Young Women's Leadership School of Astoria, New York, present their Globaloria games at a Teacher's Summer Workshop at Scholastic Headquarters in NYC. In Michelle's game, "Doll Parts", while assembling a doll, you learn the names of the body in Spanish. 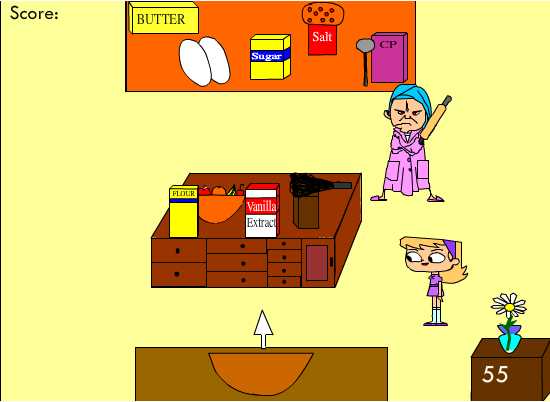 In Jennifer's game, "Mama's Kitchen", you collect ingredients and learn how to say them in Spanish. Screenshot of Michelle Morales's game, "Doll Parts"
Screenshot of Jennifer Caceres's game, "Mama's Kitchen"